Every week there’s certain things we would love to have in our apartments. Somethings might be way out of our price range but one can dream right? If we can’t purchase it, we can still get inspired by it. And then there’s things we totally can afford, and we love it. 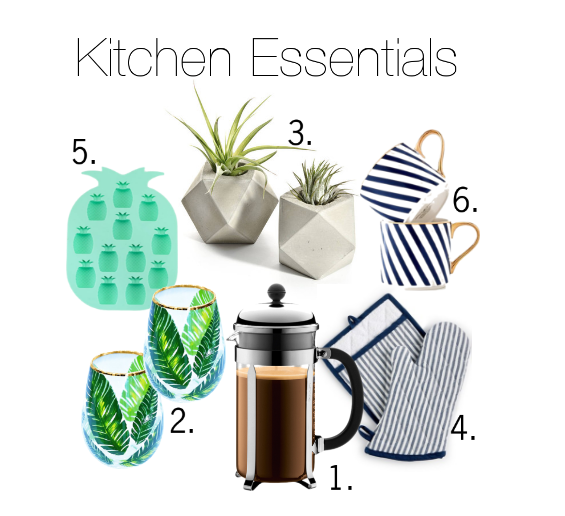 This week our focus is on these 6 kitchen essentials! We’re being blessed with great weather here in New York right now and there’s nothing we want more than than relax in our apartments with a cold glass of white wine. These stemless wine glasses would be perfect for the Summer when a girlfriend comes over! Price tag: $14 for one.